According to article 246 of the tax code, payers of tax on profit are all, without exception, the legal entity receives income from the business. Therefore, for every organization it is important to calculate the amount, this will avoid further disputes with the tax authorities. 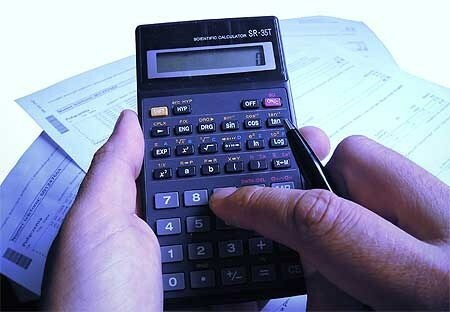 Determine the tax base for calculation of tax. Keep in mind that this term refers to the enterprise income. If you have received a negative result (i.e. a loss), in this case this index would be zero. The tax base is determined based on the proceeds of goods sold, services rendered and work done after deduction of expenses. Roughly speaking, the difference between gross income (revenue) and costs (costs) and have a tax base.In terms of the index involved the proceeds derived from:• Equity participation in the activities of other organizations;• securities Transactions;• activities of a simple partnership;• property Trust management;• cession;• the transfer of property into the share capital of the organization;• Activities using the service hassids. Multiply the result with the effective rate of tax on profit, which is 20% (for special categories of taxpayers it can be lowered). Here you need to use the formula:PR = VD*N/100,Where PR – profit;VD – gross income (revenue);N – tax rate, i.e. 20%.For example, the revenue of the organization for the current tax period was 1 740 thousand. In this case, the amount of taxpayable, is equal to 348 thousand rubles (1 740*20/100). Frequency of payment the tax on profit is 1 calendar year, for reporting periods equivalent quarter, half-year and 9 months. Taxpayers who use the monthly advance payments must prepare accounts at the end of each month. In the calculation of current tax on profit, for example, over the past six months taking into account only the income received in this period. On the basis of calculations, complete the tax return and pay the tax in accordance with the following timing:• up To 28 March inclusive (tax year-end);• within 28 days after the end of the next tax period (monthly advance payments and advance payments by results of the reporting period).